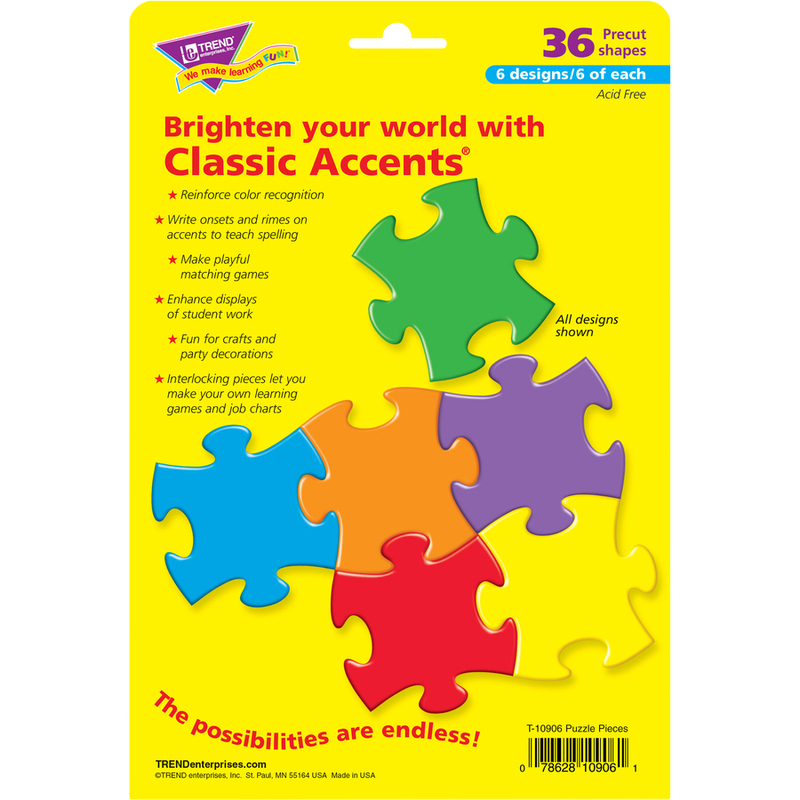 Add a sense of fun and wonder to every lesson with these pre-cut, interlocking puzzle pieces. Introduce units, inspire creative writing, build an alphabet line, teach patterning and sorting, or use as a fun alternative to notes. Variety pack includes six designs that are ready to use. 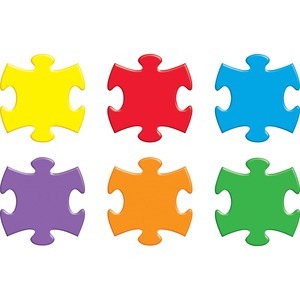 Puzzle pieces are designed for teaching students in first-grade through fourth-grade and ages 6 to 10.